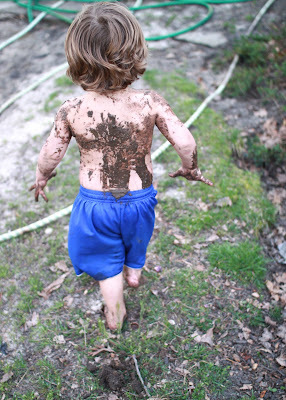 The hubs has nicknamed our littlest "pigpen"...there can't be anyone who enjoys being covered in dirt more than he. Just the squish of mud between his toes and he can't help but giggle. 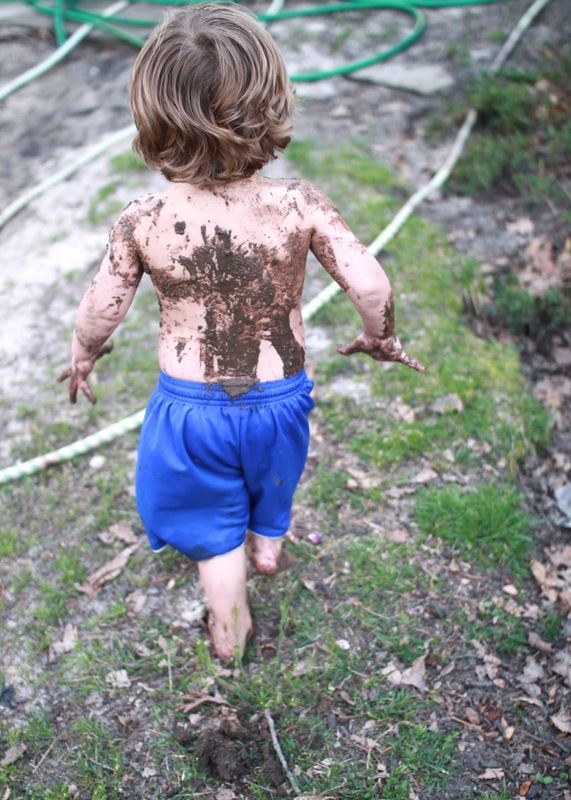 It's quite contagious...we've all been caught up in it and somehow covered in mud before we knew exactly what was going on, giggling right along with him. It's moments like these where the reality hits me, "5 boys". And no PMS, can I get an "AMEN!"